Okay, so I don't agree with defacing mailboxes. 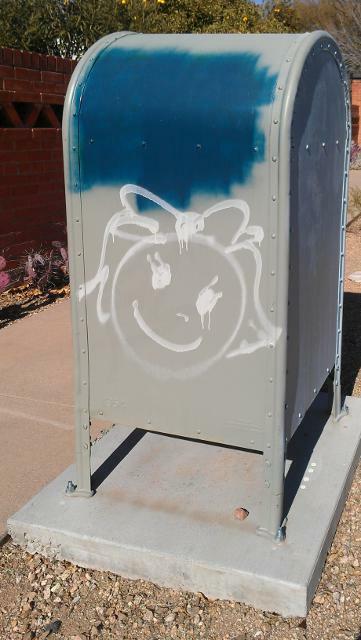 But this tagging was too cute to pass by — especially on a blog about mailboxes! The box doesn't have an address (as far as I know!). But when I click on the spot, Google says its address is 527 North Norton. I found it on the west side of Norton Avenue between 5th and 6th Streets, just north of the alley, on January 18.